Smith taught at the University of Notre Dame Law School, the University of Colorado School of Law, and the University of Idaho. He was a visiting professor at the University of Michigan and the University of Virginia. 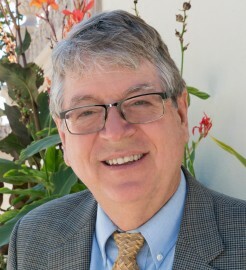 Smith joined the USD School of Law faculty in 2002. Smith was the Robert and Marion Short Professor of Law at the University of Notre Dame Law School and was the Byron R. White Professor of Law at the University of Colorado School of Law. He is the co-director of USD’s Institute of Law and Religion. “Die and Let Live? The Asymmetry of Accommodation” in Religious Freedom and Gay Rights (Oxford University Press, 2016); “Freedom of Religion or Freedom of the Church?” in Legal Responses to Religious Practices in the United States (Sarat, ed.) (Cambridge University Press, 2014); The Rise and Decline of American Religious Freedom (Harvard University Press, 2014); “That Old-Time Originalism” in The Challenge of Originalism: Theories of Constitutional Interpretation (Huscroft, and Miller, eds.) (Cambridge University Press, 2013); The Disenchantment of Secular Discourse (Harvard University Press, 2010); “Discourse in the Dusk: The Twilight of Religious Freedom” in 122 Harvard Law Review 1869 (2009); “How To Remove a Federal Judge” in 116 Yale Law Journal 72 (with Prakash) (2006); Law's Quandary (Harvard University Press, 2004); The Constitution and the Pride of Reason (Oxford University Press, 1998); and Foreordained Failure: The Quest for a Constitutional Principle of Religious Freedom (Oxford University Press, 1995). Submit changes to Steven Smith's profile.